So last night I sat with my friends and watched the the Superbowl, and I started contemplating the number twelve. And the fact I had no ideas for what to blog about this week. So I decided – a la Sesame Street – to do a blog on the number twelve. 2. Twelve is Tom Brady’s jersey number. It’s a common number for a quarterback, I think. But if I bought a jersey… well, let’s be honest. I’d buy a Wilfork one because Wilfork is awesome. But I’d be tempted because Tom Brady has a cleft chin and wears number twelve, and has won four of the six Superbowls he’s played in. Fewer things in sports are more lovely than watching Tom Brady in a two minute drill. 3. Twelve was the top range of the of the predicted snowfall. 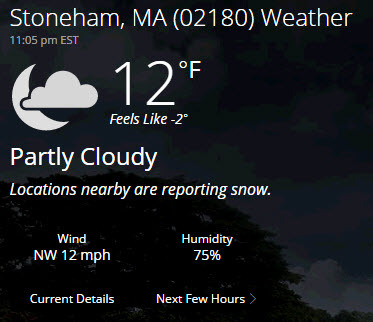 It’s what the weather station claims Stoneham got today. They are lying liars who lie a lot. I swear we got at least eighteen inches. There’s another three or four that fell after the third shoveling of the day at five pm. 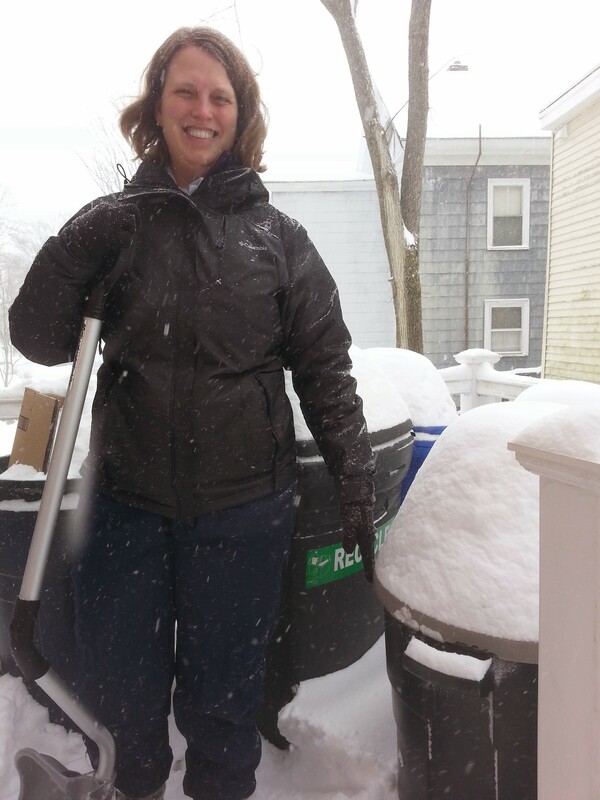 We have a LOT OF SNOW. You can watch some awesome video of my eldest son getting trapped in the snow by clicking here. 4. Twelve times twelve is 144, or Bilbo’s age at his big last birthday party when the Fellowship of the Ring. I learned from that it’s also a gross, and not considered a polite number in reference to people. 5. Twelve is the clarion call for the Seahawks. Buildings were emblazoned with 12, jerseys with #12 proudly worn. It took me quite a while to figure out what the #12 was about, since Russell Wilson is #3. It stands for the twelfth man (person) – the crowd whose energy and enthusiasm could do everything but complete that final catch of the the final minute of the final game of the year. 6. 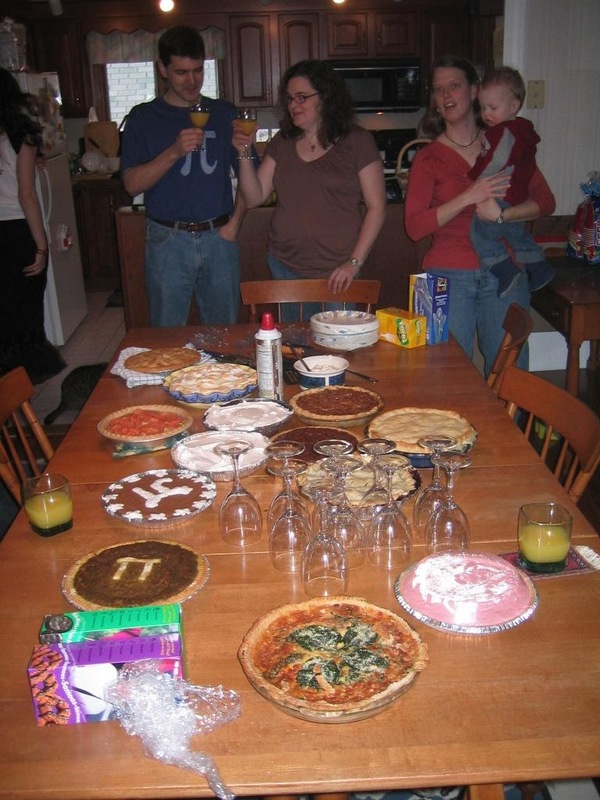 Twelve is the number of pies we had the first Piemas. I believe that the first Piemas was 2007, perhaps. That was definitely the year we first met Dave. So the celebration upcoming in about six weeks is not the 12th Piemas, alas. It does, however, fall on the ULTIMATE PIE DAY, since it will be 3/14/15 and I will be making pies at 9:26:53. 7. Twelve is the current temperature – before wind chill. 8. Twelve is the number of days until Truck Day (the day when a truck leaves Fenway Park with all the gear for the Red Sox’ spring training). It seems entirely impossible that anyone will ever play baseball again, since the entire city of Boston is under three feet of snow. But it gives you hope! 9. 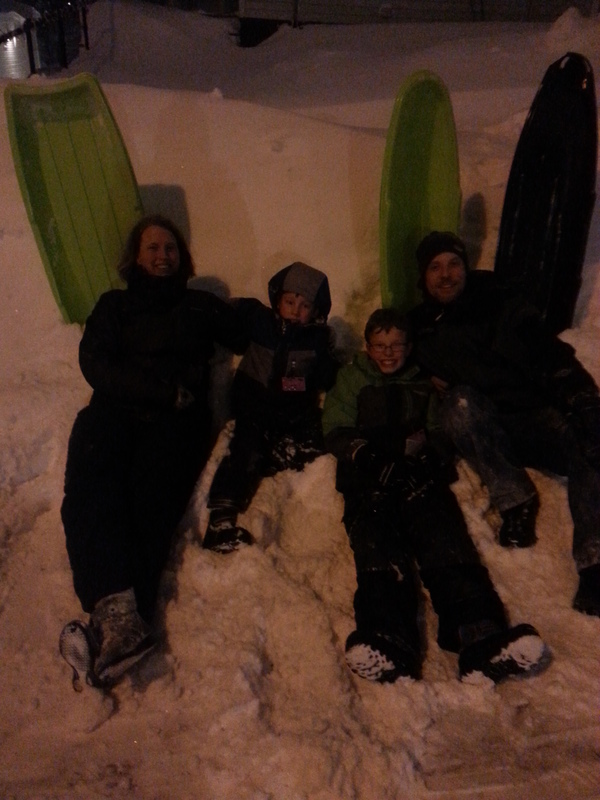 Twelve was the number of sledding runs I took tonight, after leaving my neighbor’s lovely blizzard potluck. I’d missed out on getting a single run in last week, when the snowplows were thick as mayflies. But tonight our street was deserted with about two inches of fine powder. My boys, seeing me out there, hopped into their snow gear and joined me rocketing down our street. 10. 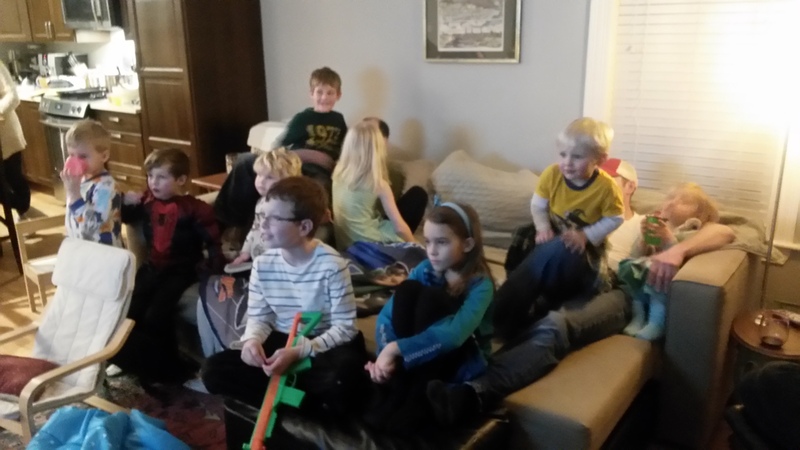 Twelve is the number of kids in the neighborhood (when you add in the honorary members). This leads to a beautifully chaotic and noisy scrum when we all get together. We have more room for screaming in summer, but are more likely to actually get together on these cold winter nights for a potluck. 11. Twelve days from now is Valentine’s Day and I found (what I think is) and AWESOME Valentine’s Day gift for my husband. It’s romantic in the way that people who have been married for nearly fifteen years are romantic. I also read this great article on how to fall in love. Tragically, it requires staring into the eyes of your target for four minutes, not twelve. Amazing! You can make even the number twelve an interesting post, humorous as well. Hugs. I guess you could refer to Brandy’s album “12 Stories”…another great reference to the numberr 12! !